It’s no secret that I love to organize. My desk at work, my desk at home, my drawers, my car…I’m just organized. Well, it’s more like I have an addiction to organizers and files…it’s sad, really. I’m always looking for better, smarter ways to organize. Then someone pointed out to me Smead’s website. And they created a monster. 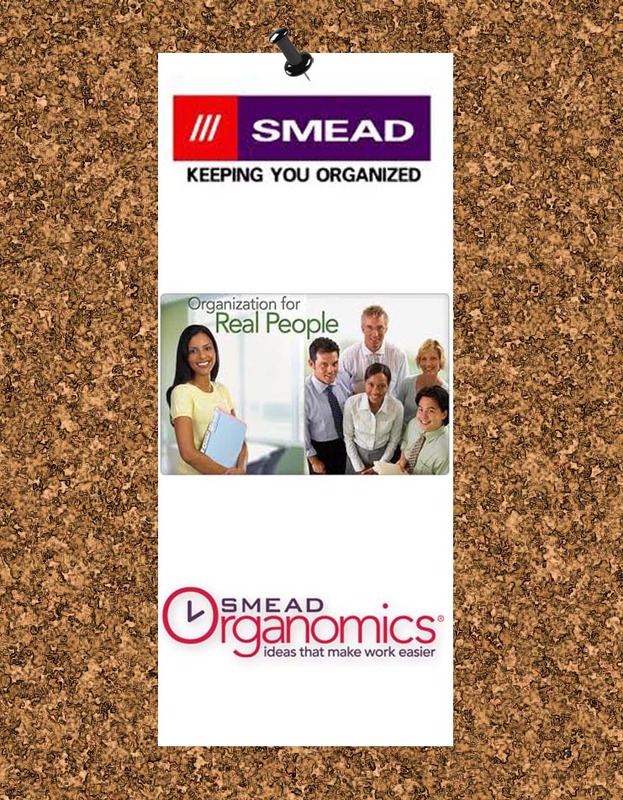 Smead products are awesome, first off. I use a lot of them on a daily basis, and they never let me down. I never realized their website would be just like their products – useful and amazing! They have so many options on the site to help you get organized! I never knew, and am very excited about it. They have an Organomics calculator which can calculate what you or your company loses due to disorganization, including lost wages, lost sales opportunities, and document replacement, along with other instances where you can lose money because you’re not organized. I used it and it floored me! Also, they have a forum where you can share ideas and get updates with other organization fiends, and My Organomics which creates a personalized solution based on projects, meetings, and to-do items. This was really cool. They also have one for Team Organomics for your work to make your workplace more efficient. One of my favorite parts of the site though was the One Minute Answers section, which gives tips and ideas based on what you’re organizing, whether its home or office. The BEST part though is their Solutions page, which gives you wonderful ideas on whether its work related, home office, or you can even narrow it down by problems, like lack of space, color coding, or project management. You really should check out the site, because even for someone like me who thought she was organized, it showed that I’m not as organized as I could be. Next Post Is 3 A.M. Too Early to Shop? NO! Down and Dirty: Do Hand Dryers Carry Bacteria?